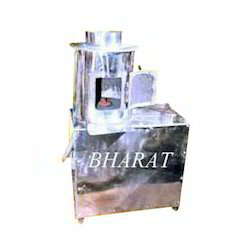 Our company has made a renowned name in the market owing to the success of Masala Mixing Machine. This one from our side is best suited for mass production. Used for mixing masala, our range is not only easy to install but also engineered with perfection and attention to extract uniform size of output. Further, our range is widely renowned for its sturdy construction and operational fluency. We stand strongly behind every product supplied and distributed by us. In order to successfully meet the variegated needs and demands of the clients, We present a technically advanced array of Hydro Oil Extractor. Designed with utmost precision and with the aid of advanced machines, these extractors are highly suitable for small scale oil mills. 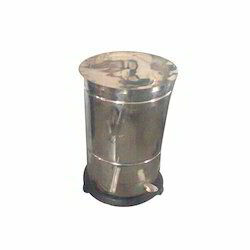 These are extractors are widely appreciated for its user friendly operations, easy replacement of spare and efficiency to yield maximum oil from the seeds. Further, for high expelling efficiency, it is recommended to dry the kernel to contain less than 5 to 8% moisture. 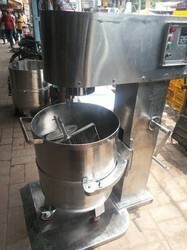 Nimki machine is used for making namakpare . Rolled maida is cut according to the size required by the customer .There are four rollers , 50 blades and straight cutter . Leveraging on our sound manufacturing facilities and team of skilled professionals, we have been able to put forth best in industry range of Oil Extractors. 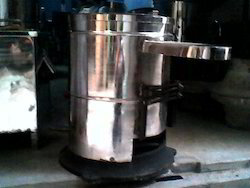 Fabricated using optimum quality raw material, these machines are widely used for extraction of oil from different types of namkeens prepared. This further helps the manufacturers in offering less calorific and healthy snacks to the customers. 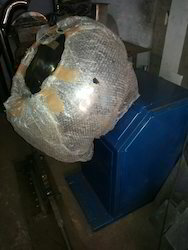 We are also engaged in manufacturing and supplying a wide range of Potato Peeling Machines. Manufactured using high grade aluminum procured from reliable vendors, these are highly durable and help in fast & effective peeling of the skin of potatoes. These peelers are widely used in mess, malls and restaurants. Looking for Namkeen Machines ?